Access physical activity grades, report cards and other related documents from all Global Matrix events in which Scotland has participated. Implement/evaluate existing policies (we have very good national policies but policy implementation and evaluation is lacking). Improve our surveillance of physical activity and related behaviours and outcomes (along the lines suggested in the long-form version of our report card). Focus on behaviours (e.g. sedentary behaviour) and groups (young children, boys) not currently the focus of national policies. John Reilly, Ph.D.John Reilly (BSc, PhD) is Professor of Physical Activity and Public Health at the University of Strathclyde, Scotland. His research focuses on: physical activity and sedentary behaviour in obesity/NCD aetiology, prevention, and treatment ; public health surveillance of physical activity , sedentary behaviour, and obesity; physical activity and academic attainment; the ‘physical activity transition’ in children. 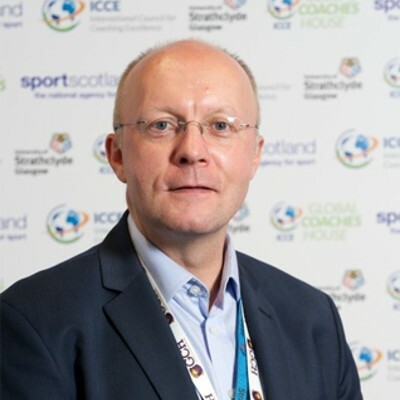 He is Chair of the UK Physical Activity Guidelines Development Group for the Under 5s 2017-2019, and is currently active on two WHO committees. He has published nearly 300 peer-reviewed papers and has an h index of 53 (Web of Science, June 2017) and 74 (Google Scholar, October 2018). "I have been involved with the Global Matrix since it began in 2014. We have come a very long way in a short time- the growth in both the number of countries and the range of countries we now have in the matrix (in terms of the wide range of culture, stages of economic development, and geography) is impressive, and shows that our ambition of creating a global movement back in 2014 has been realised. This wide range of circumstances in which children grow up across the globe means that the global matrix provides unique evidence on what is effectively a vast natural experiment in physical activity and health of children and youth. I am convinced that lessons learned from the natural experiment can be put to good use in increasing physical activity levels and decreasing levels of sedentary behaviour across the globe." - John Reilly, Ph.D. and Adrienne Hughes, Ph.D.
Introduction: Only a small minority of Scottish children and adolescents meet the recommended amount of daily moderate-to-vigorous intensity physical activity (MVPA). 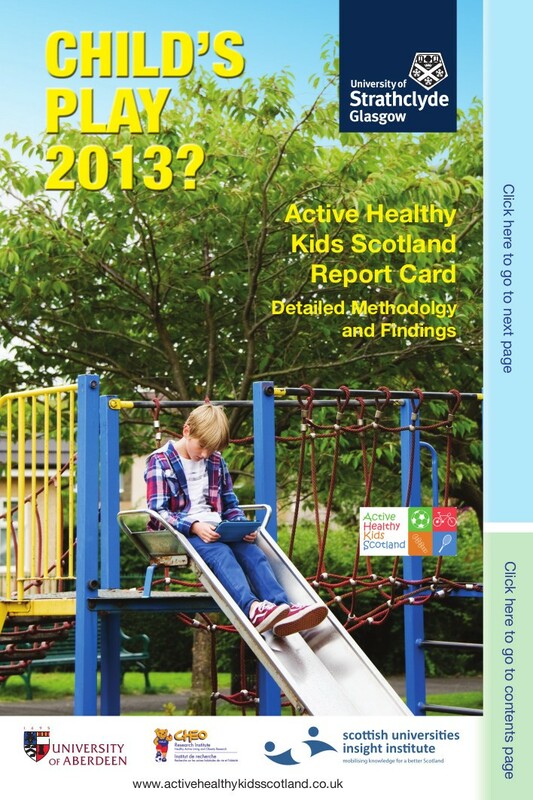 Scotland’s 2018 Report Card aimed to (a) provide an updated ‘state of the nation’ for child and adolescent physical activity and health and (b) highlight major gaps in surveillance of physical activity. Methods: Data sources were used for grading if they had been derived from recent (i.e. from 2014 onwards) nationally representative surveys, and if methods of measurement had small or negligible bias. 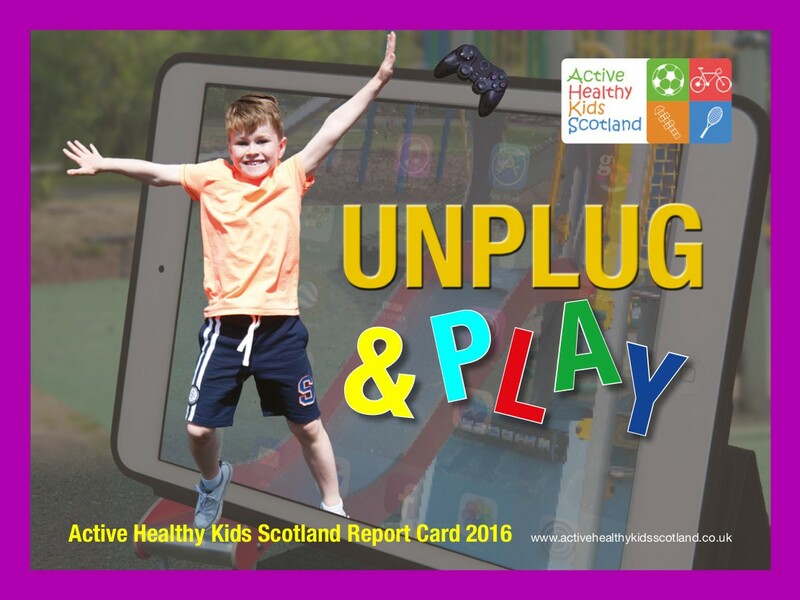 The main data sources used for grading were the Health Behaviours in School-Age Children survey (HBSC) 2014, the Scottish Health Survey (SHeS) 2016, Hands Up Scotland (HUS) 2016, Transport & Travel in Scotland (TATIS) 2016 and the Scottish Household Survey (SHS) 2016. We graded the 10 core physical activity indicators included in the Global Matrix 3.0, plus two additional indicators (obesity and diet, grades not shown here). The grades were reviewed by key stakeholders from national organisations. Results:The grades and the rationale for each grade are shown in Table 1. Family and Peers INC No data sources fitted the Global Matrix 3.0 benchmark for this indicator. School INC No eligible data sources available. Community and Environment B- 92% of households with children aged 6-12 years had access to at least one play area within their neighbourhood (SHS, 2016). 66% of households felt that it was safe for children to go to a playground in their neighbourhood with 2 or 3 friends (61% to a park, 62% to field/other open space, 57% for streets around the home). 59% of households felt that it was safe for children to walk/cycle on their own to a playground in their neighborhood (55% to a park, 57% to a field/other open space, 56% for streets around the home). This indicator was graded as B-, although access is high (A grade), safety is lower and varies by play area and whether child is alone (C+ grade) or with friends (B- grade). Physical Fitness INC There are no nationally representative data on physical fitness in children or adolescents. Evaluate implementation and effect of our national policies. Address sedentary behaviour in policy. Improved surveillance by monitoring the indicators not being surveyed at present (e.g. active and outdoor play, sports participation, sitting). Improved surveillance by improving the measures we use (e.g. replace our inadequate surveillance of child physical activity with accelerometry). John Reilly, Ph.D.John Reilly (BSc, PhD) is Professor of Physical Activity and Public Health at the University of Strathclyde, Scotland. 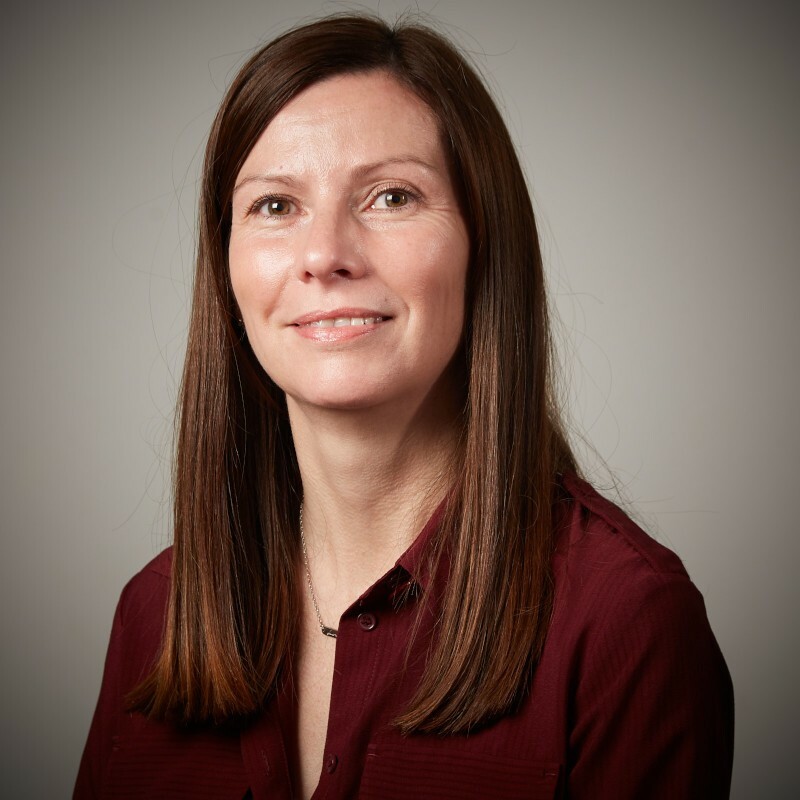 His research focuses on: physical activity and sedentary behaviour in obesity/NCD aetiology, prevention, and treatment ; public health surveillance of physical activity , sedentary behaviour, and obesity; physical activity and academic attainment; the ‘physical activity transition’ in children. He is editor of Pediatric Obesity, and is currently active on two WHO committees. He has over 230 peer-reviewed papers, and an h-index of 42. "The global matrix should have substantial impact in Scotland — the grades from Scottish children and adolescents did not compare favourably with the rest of the world, attracting a great deal of publicity. Seeing our position relative to other nations has provided impetus to do better in future physical activity and health policy. The launch of the global matrix provided an important insight into why physical activity levels are so low in Scottish children and adolescents. The comparative approach to physical activity in the global matrix revealed that “we have built it but they have not come”: having good policy and physical environments for child physical activity is insufficient to create active healthy children. Challenge." 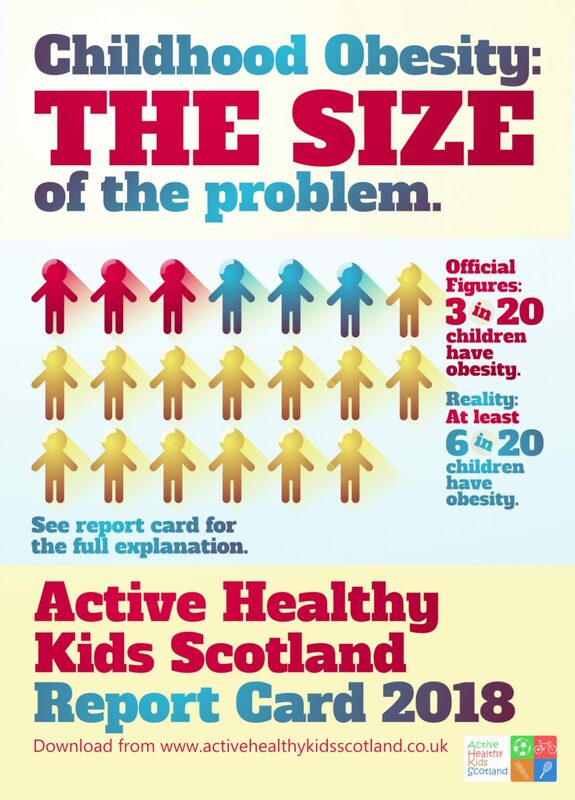 - John Reilly, Ph.D.
Background: The Active Healthy Kids Scotland Report Card 2016 provides a critical update on the “state of the nation” for Physical Activity and Health in Scottish children and adolescents. This paper aims to summarize the results of the Scottish 2016 Report Card. Methods: Ten indicators were graded by a committee of experts: evidence was used to inform the grades so long as it was recent, representative, and had no or minimal bias. Results: Three Health Behaviors and Outcomes received F or F- grades (Overall Physical Activity; Sedentary Behavior; Obesity); two indicators could not be graded (Active and Outdoor Play; Organised Sport Participation). Active Commuting to School was graded C, and Diet D-. For the three indicators of Influences on Health Behaviors, Family and Peer Influence was graded as D-, but Perceived Safety and Availability of Space for Physical Activity, and the National Policy Environment were more favorable (both graded B). Conclusions: All grades were identical to those in the Scottish Report Card 2013. Scotland generally received good grades for factors influencing physical activity and health, but poor grades for physical activity and health behaviors and outcomes (e.g., Overall Physical Activity, Sedentary Behavior).